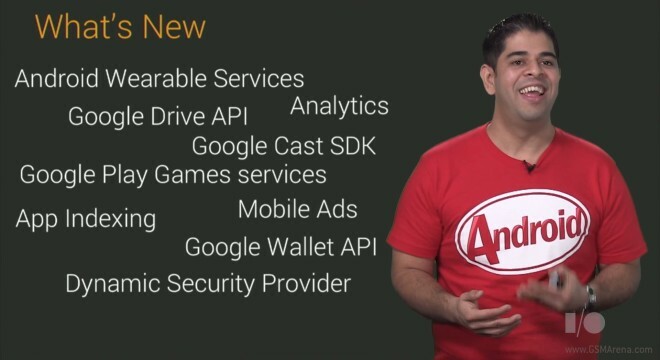 Google announced a major update to its Play Services API last month at Google I/O, and now it is being being rolled out to devices worldwide. The new updates include services for Android wearables, security, Google Play games, Google Cast, Wallet, and many more. The highlights to Android wearables include the ability to sync persistent data between wearables and smartphones, while game services let you store your progress in the cloud and even access your saved games across multiple devices. Caption support in Chromecast is also a great addition, as is being able to save promo and loyalty cards in your Google Wallet. The updates services and API’s will automatically be downloaded for all the relevant services from Google Play.